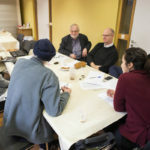 ENORB > Uncategorized > A more equitable religion and belief landscape? 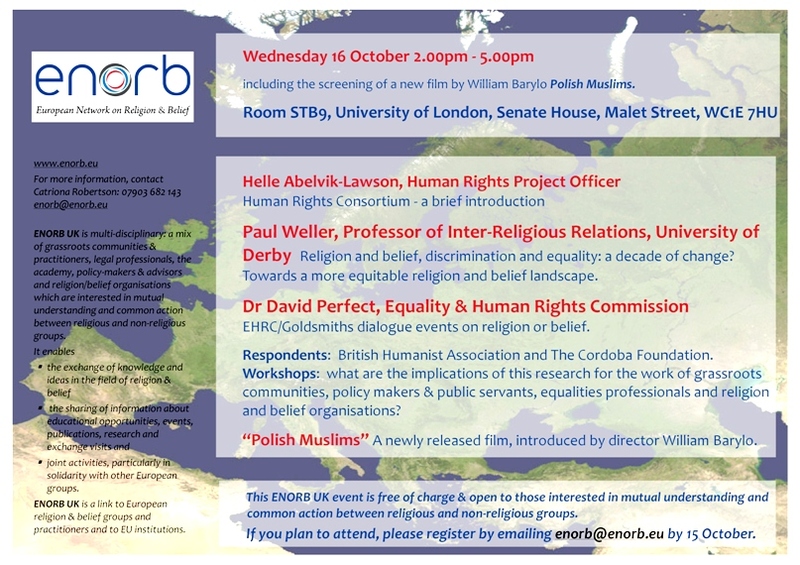 ENORB UK’s next event is in London on Wednesday 16 October 1400 – 1700, including the screening of a new film “Polish Muslims” by William Barylo. Download the flyer and directions. We have two excellent contributors who will share their recent research with us and we will also hear from the Human Rights Consortium which is kindly hosting us. If you would like to attend, please email enorb@enorb.eu.